Originally from the Washington, DC, Metro area, Christina Gusella is a first-year PhD student in Emory University’s Department of History. She specializes in modern Russian history and the history of the Soviet Union, with a strong secondary focus on the history of U.S. foreign relations with the USSR, particularly during the Cold War. Her thematic interests include cultural-diplomatic history, histories of migration, immigration, and border-crossing, conceptions of citizenship and belonging, and studies of memory, nostalgia, and the (un)conscious mind. Though in the preliminary stages, Christina is beginning to conduct research for her dissertation, which examines American defectors to the Soviet Union at the height of the Cold War. 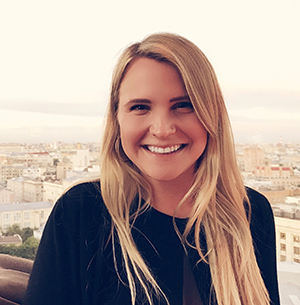 For many eastbound defectors, the Soviet Union represented a radiant future for humanity, and Christina’s dissertation will assess the motivations, experiences, and outcomes of these defectors in order to better understand Cold War culture and diplomacy. Her research thus far has been supported by the Laney Graduate School at Emory University, the Carnegie Corporation of New York, the U.S. Department of State, the János Radványi International Institute, and the Graduate School at Mississippi State University.